The Lenovo ThinkPad X1 Yoga is a convertible-hybrid laptop with a sturdy chassis, plenty of ports, and a handy stylus. It's a solid choice for its slightly larger than average screen, but the competition in this realm is fierce. Our test machine came loaded with Windows 10 Pro, a $30 option over the Home edition that comes standard. And we loved that nothing else was pre-loaded. The “Signature Edition” of the OS means no trialware on the side—not even an antivirus trial—so you don’t have to worry about resource-sapping bloatware. A one-year parts-and-labor warranty with carry-in or depot service rounded out the offering. The Lenovo ThinkPad X1 Yoga is one of the best convertibles on the market and it’s also one of the best business laptops. Lenovo has done such a great job of incorporating the identities of both of these brands into a single device. Sporting a durable design with built-in security options, customizable specs, an extensive amount of connectivity options, and a world-class keyboard the Lenovo ThinkPad X1 Yoga offers the dependability that you’d expect from a ThinkPad. However, the laptop doesn’t stop there. It also features the portability, flexible design, vibrant display that we’d expect from a Yoga. Add in the built-in stylus, amazing battery life, and fantastic speakers and you have one of the most well-rounded machines out there. I actually really love the Lenovo ThinkPad X1 Yoga, for what it is. For me personally, if I was going to go out and buy one, I'd certainly want the Core i7 model with the 1440p OLED display, 16GB RAM, and cellular connectivity. In fact, if I had those things, it would probably be a nearly perfect machine. Lenovo’s 2017 ThinkPad X1 Yoga is a solid Windows 2-in-1. Its durable frame can take a beating, and it has every port necessary to get you through your work day, even if one requires an adapter and the other is in an awkward place. 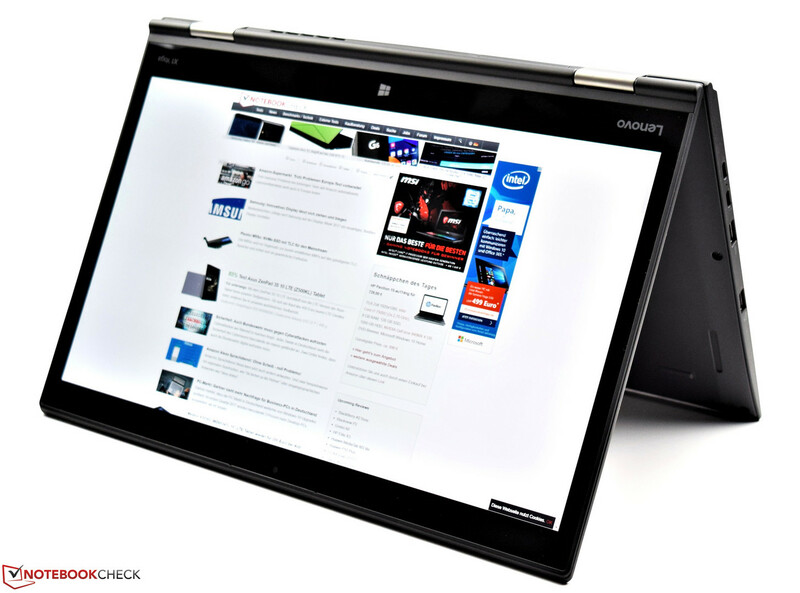 The ThinkPad X1 Yoga lasts a long time between charges and gets back to a full battery quickly. You don’t feel like you’re going to accidentally flick a key off the keyboard either. Here are my final thoughts. A super great Ultrabook for the business user that is well built, light, portable, rugged, and a great performer. I’d highly recommend a business user look into the X1 Carbon. For home users, I think this laptop will serve you well but you might consider the price tag before you purchase. At the end of the day, if you’re looking to pick up a new Windows 10 2-in-1 device, then the X1 Yoga is for you. While a bit hefty for the price, you’ll enjoy the beautiful display and the versatility that comes with using the device in 4 different modes. Additionally, thanks to the Lenovo ThinkPad Pen Pro, you’ll also enjoy the inking and pen friendly features of Windows 10, and drawing in apps like Fresh Paint. And, when using it in laptop mode, you’ll be at peace with the performance of the Intel Core i5 7th generation chip, and knowing that you won’t be needing to constantly run to the nearest power outlet. If you're looking for an even-lighter 2-in-1, check out the 13-inch HP EliteBook x360, which weighs 0.4 pounds less, offers a faster SSD and has a unibody, aluminum chassis that many people will find more attractive. However, if you want a first-class business convertible with great portability, flexibility and endurance, the ThinkPad X1 Yoga should be at the top of your shopping list. Add to that a complete set of extended warranty options, rugged MIL-STD certification, spill-proof keyboard, a serviceable design and easy to upgrade WWAN and SSD components, and even consumers will find plenty to love with this business-centric laptop. 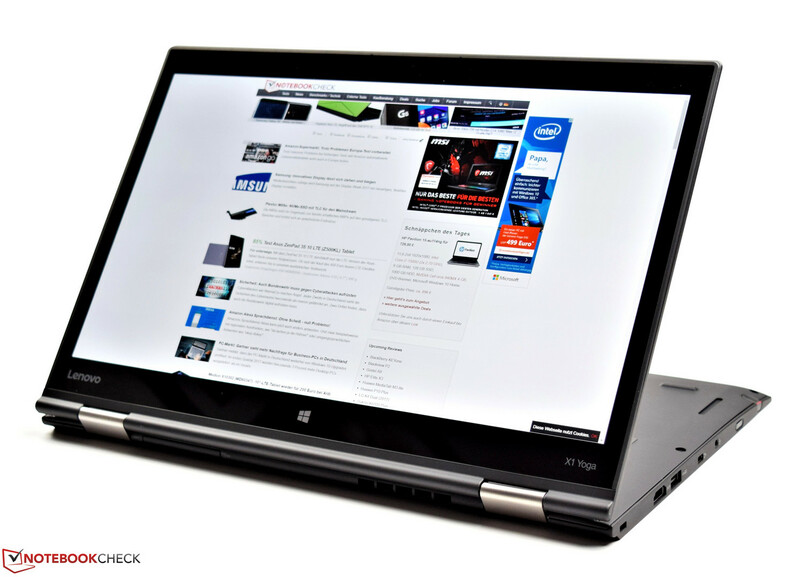 Lenovo proves that it can make a conservative design shine by sticking to basic and elevating what tablet and laptop users desire from a convertible, and the X1 Yoga gets our editors choice award for its no-compromise approach. The Lenovo ThinkPad X1 Yoga is a versatile two-in-one that earns its expensive price tag by excelling in most areas to provide one of the most well-rounded convertibles on the market. 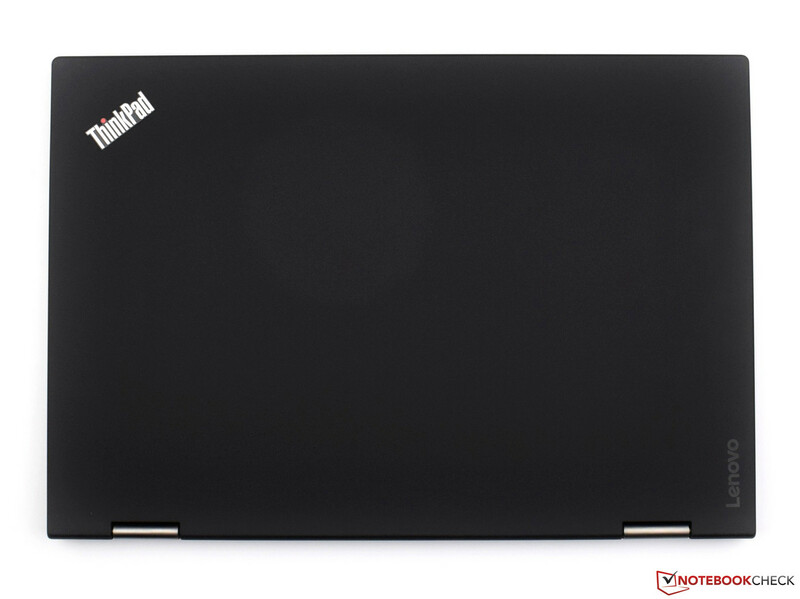 It is the mashup between two of Lenovo’s laptop brands: the reliable ThinkPad and the versatile Yoga. Measuring 13.1 x 9 x 0.67-inches and weighing 3.2 pounds the 14-inch convertible is incredibly light for a 14-inch laptop. However, as a tablet, the device can feel a bit unwieldy especially when trying to hold the X1 Yoga with a single hand. In addition to being light, the carbon fiber also affords excellent durability. 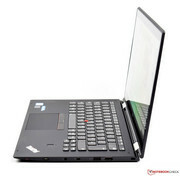 ThinkPads are typically known for their tough chassis and the Lenovo ThinkPad X1 Yoga is no different. The notebook boasts extensive MIL-STD testing holding up under extreme temperatures, shocks, and vibrations. The carbon fiber build offers a great cushy feel that is resistant to fingerprints and easy to grip. The surface also makes for an excellent wrist rest, to help ease those long typing sessions. 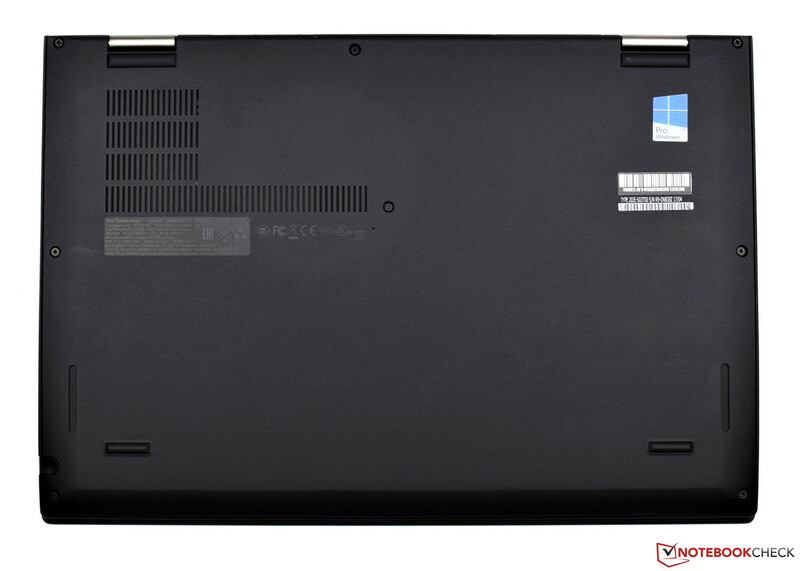 The Lenovo ThinkPad X1 Yoga features that same simple clean design with the top of the display lid sharply slanting in towards notebook’s base to give it a sharp cutting look. 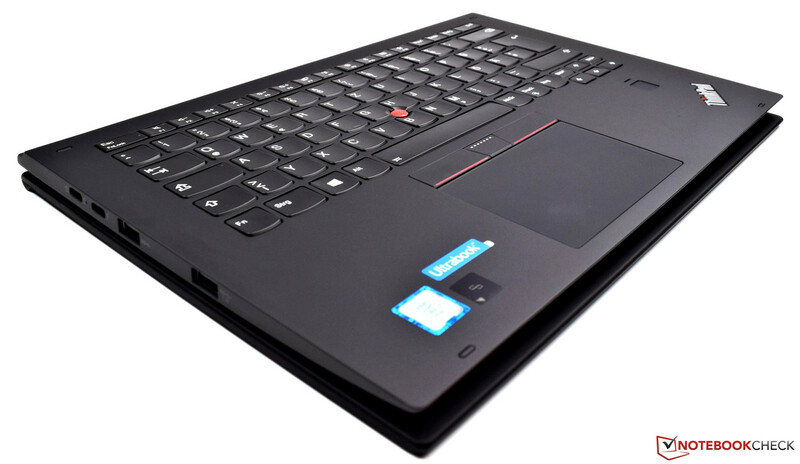 The Lenovo ThinkPad X1 Yoga is equipped with a seventh-generation 2.6GHz Intel Core i5-7300U CPU, Intel HD Graphics 620, 8GB of RAM, and a 256GB NVMe PCIe SSD. Basic computing, productivity apps, and even heavy multitasking prove to be a breeze for this machine. The fast read and write speeds of the 256GB NVMe PCIe SSD also contribute to the solid consistent performance as programs and file load within seconds. The X1 Yoga is capable of basic HD video editing and playing less demanding game titles, but the machine will struggle with more demanding tasks like 3D modeling, and more graphically intense games. 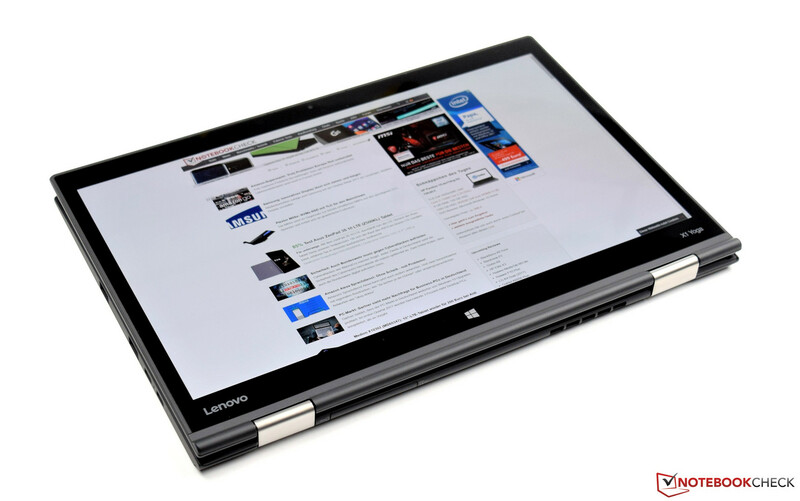 The Lenovo ThinkPad X1 Yoga features a 14-inch FHD (1920 x 1080) IPS 10-point multi-touch display. The glossy panel offers a clear picture with vivid deep colors. While the glossy panel does provide gorgeous colors it’s also highly reflective. This is particularly a big problem when using the device as a tablet with overhead lighting. 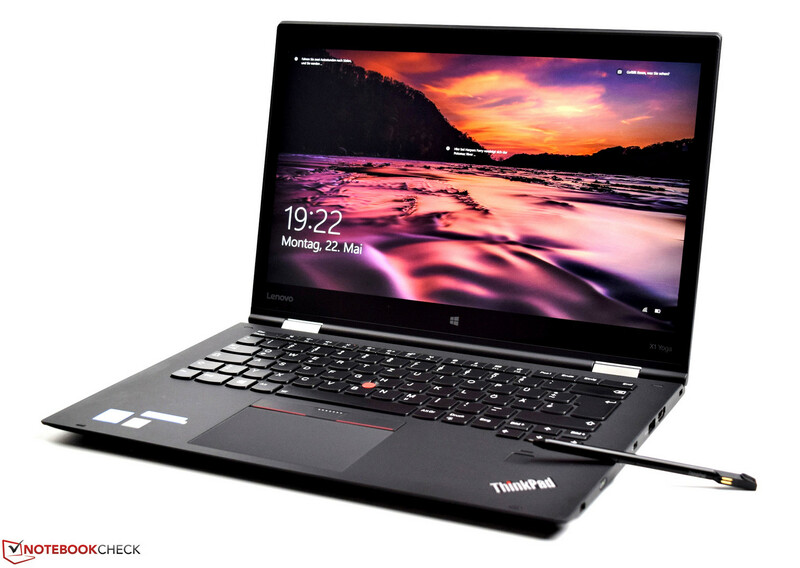 The Lenovo ThinkPad X1 Yoga packs a surprising amount of connectivity into its thin frame. The right side features a Kensington lock slot, an HDMI connector, a USB 3.0 port, a Mini-RJ45 Ethernet connector, and a 3.5mm audio jack. The left side features two USB Type-C (Thunderbolt) ports, and two additional USB 3.0 ports, the latter of which is always on. Finally, there is a micro SIM and microSD card reader located next to the back right display hinge on the rear. The ThinkPad X1 Yoga is a direct competition for the Microsoft surface pro in terms of its price. In terms of specs, they also come very close but the ThinkkPad X1 Yoga is probably more reliable than the Surface Pro. 7300U: Kaby-Lake based SoC with two CPU cores clocked at 2.5 to 3.1 GHz, HyperThreading and manufactured with an improved 14nm process. Compared to the older Core i7-7500U, the i5 offers only 3 MB L3 cache but the same Turbo clock speed.» Further information can be found in our Comparison of Mobile Processsors. 83.86%: This rating should be considered to be average. This is because the proportion of notebooks which have a higher rating is approximately equal to the proportion which have a lower rating.